“Now I’m awake.” Hulu has released a new trailer for their upcoming series The Handmaid’s Tale. Based on the novel by Margaret Atwood, the drama takes place in a dystopian society where women are kept as property. The cast includes Elisabeth Moss, Joseph Fiennes, Yvonne Strahovski, Samira Wiley, Alexis Bledel, Max Minghella, Madeline Brewer, Ann Dowd, and O-T Fagbenle. The Handmaid’s Tale premieres on Hulu on April 26th. What do you think? Have you read The Handmaid’s Tale? Will you watch the Hulu series? 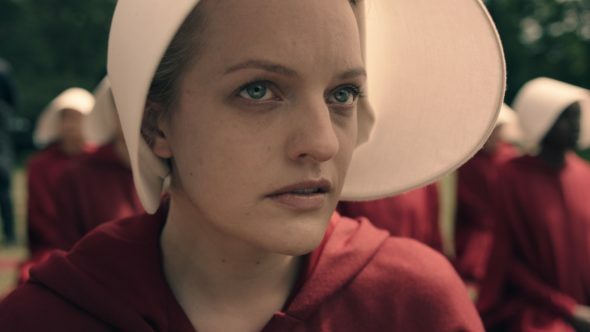 More about: Hulu TV shows: canceled or renewed?, The Handmaid's Tale, The Handmaid's Tale: canceled or renewed?